Finished AI Nanodegree classes. 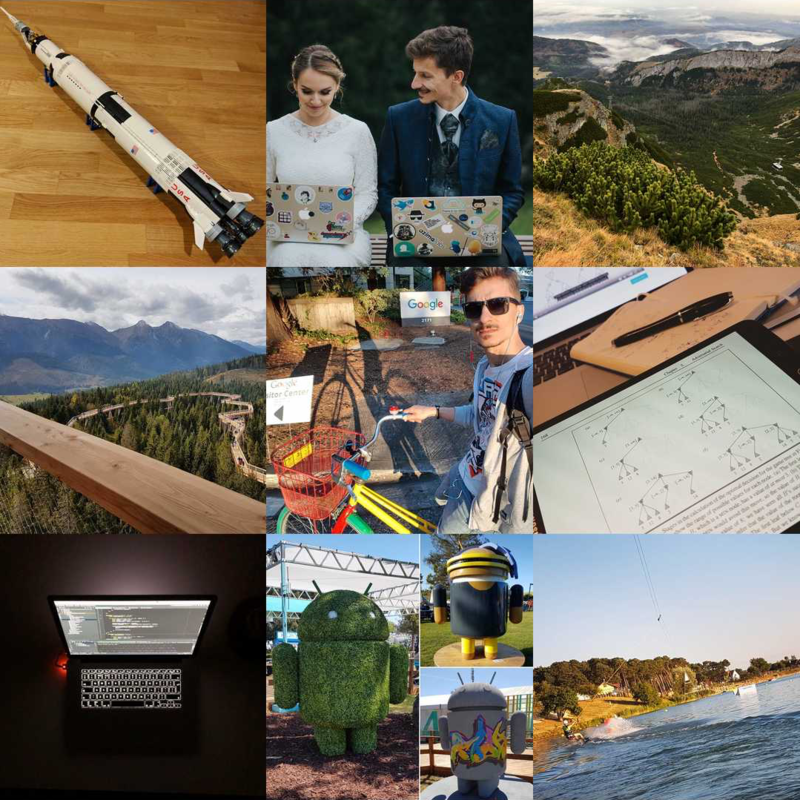 I’m still at the beginning of AI-professional journey, but more than a half-year learning showed me how many exciting things are still waiting to be discovered. I also started using my learnings here and there in my professional career. Can’t wait to extend this experience in 2018. More and more leadership experience and learnings. Working out my own patterns in this area. I wrote 27 articles on my blog/medium. Most of them are professional, including a couple in new category – Artificial Intelligence 🤖. Besides personal space, my articles were published in Chatbots Magazine, Machine Learnings, ProAndroidDev, and AzimoLabs. I haven’t had alcohol for more than a year now. This is my personal project to enjoy every single minute of my life. Waking up next day, after “hard” party, with a full power at 7 a.m. is amazing! I was able to do this after every birthday, company, wedding, and any other party during all over the year. Hell yeah! Visited 30+ new cities, venues, big events (🇵🇱🇬🇧🇺🇸🇫🇷🇸🇰). Everything documented on my Instagram profile. Tried wakeboard, my third board after skateboard and snowboard. Kept sport as an integral part of my life: walking, biking, swimming, running, gym, snowboard. 10k steps daily goal achieved during big part of a year! Got the first peak on my feet. Kasprowy Wierch, elevation: 1,987m. These and many more small wins, achieved alone or together with my wife, made my 2017 really exciting. Can’t wait to see what 2018 will bring!